At Fitz’s Fish Ponds, we pride ourselves on providing the highest quality services to our clients. Whether you need a sick fish treated, or a professional pond cleaning, our team strives to give you the best customer experience possible. We offer an exceptional range of pond services that will help you design, build, and maintain your ponds perfectly. 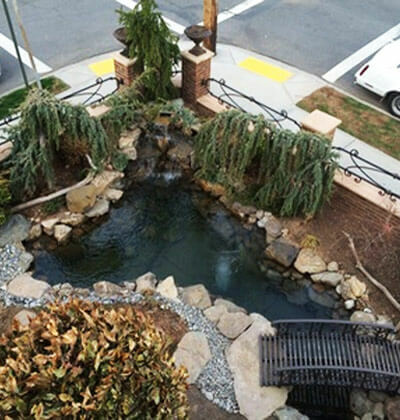 Regardless whether it’s a pond cleaning project for a large pond, an urgent pond emergency to deal with clotted filters, or you need water feature repairs, you will find Fitz’s Fish Ponds to be an excellent partner to help you enjoy a clean, aesthetically-appealing, and healthy pond without breaking the bank. Fitz’s Fish Ponds has many years of experience and expertise in dealing with pond fish care. We understand both common and rare pond fish phenomena and can effectively treat fish diseases to ensure that your fish can thrive inside your pond. Whether it’s anchor worms, fish lice, or skin parasites that you are troubled about, our pond fish care crew will remedy the situation effectively so that you will not encounter fish kills. One of the fortes at Fitz’s Fish Ponds is pond design and construction. From conceptualization to installation to completion, you can be sure that we will put our creativity and passion to work so that you can have an elegant and exciting pond to call your own at the end of the day. 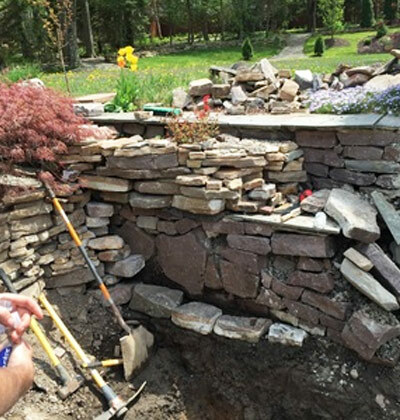 When you want to build a pond that can impress any house guest you have, it’s pertinent that you consider water feature construction to beautify and support the ecosystem of your pond. 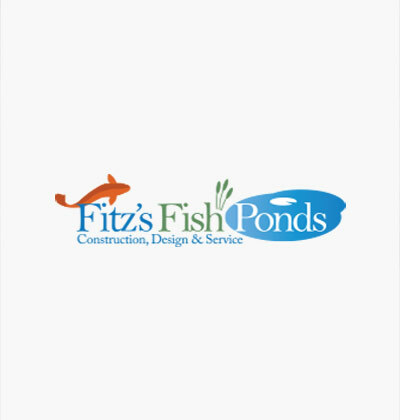 Fitz’s Fish Ponds is highly skilled in constructing and maintaining water features for a wide variety of ponds, and we will make sure that all your needs are taken care of from consultation to project completion. Ready to Work with Fitz’s Fish Ponds Today? At Fitz’s Fish Ponds, we are passionate about what we do, and we practice a client-first approach so you can be assured that customer satisfaction is our top priority. No project is too small or too large for us, and you can always find a friend in us when it comes to meeting all your pond related needs. Browse through our different service pages to learn more!